This three-hour referee workshop provides your first steps into refereeing and is a pre-requisite for those wishing to take their Tournament, County, Regional or National referee awards. Following the workshop, the opportunity to take an exam to become a Junior (if under 16 years of age) or a Club Grade Referee is provided. The referee pathway is discussed should attendees desire to progress to County Grade. Examinations are usually carried out a short time period after the workshop and can be completed remotely via e-mail attachment from your instructor. 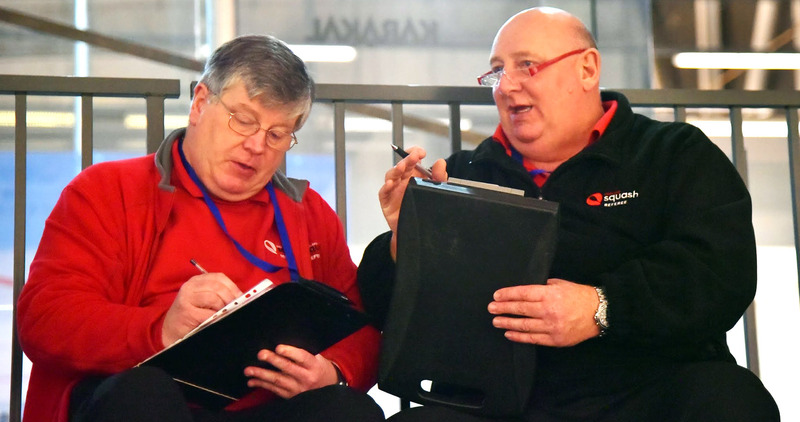 Our England Squash referee training workshop delivers essential knowledge and understanding of the rules of squash and squash 57, providing practical decision making processes to help attendees officiate within a club environment. The workshop is delivered through interactive activities incorporating quizzes, pairs/group work, a PowerPoint presentation and video clip analysis. You will need to have a reasonable knowledge and understanding of the game.